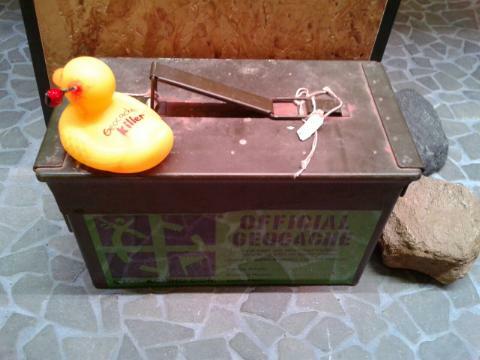 Me and my Geocache Killer duck took a vacation day yesterday to take care of some business. 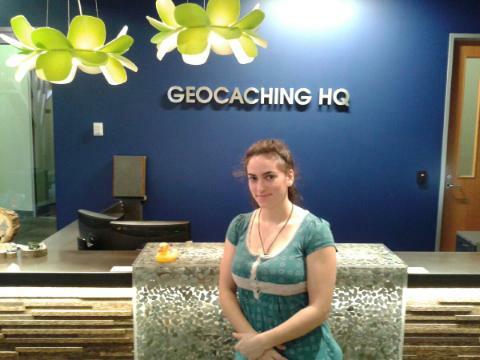 We went to the Geocaching Headquarters in Seattle and boy what a trip! For anyone who has done Geocaching or wants to and is anywhere near Seattle I highly recommend going. For this one you have to make an appointment, so be prepared. What fun! Here’s some of what I learned. GC HQ employees 81 people, but four work in the warehouse near the Needle. They have their own Café that serves breakfast and lunch called the Signal Café after their mascot. They are quite a visual company and their office building is stunning! 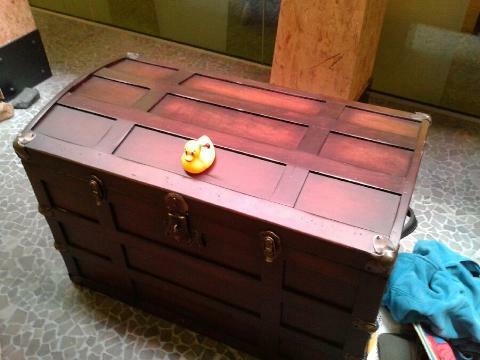 There is a large TV that continuously displays the most recent caches that are logged all over the world. 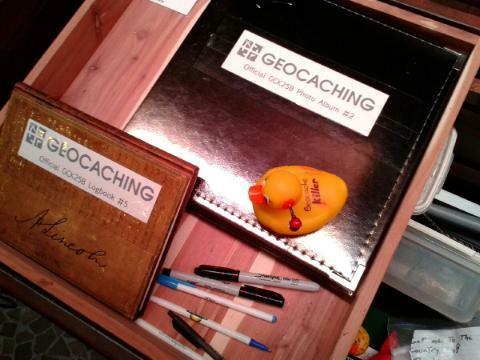 They have a wall of cache goodies, where you can buy the specialized “found it” shirt only available at GC HQ. My tour guide was wonderfully informative and very excited about getting to see me. She succeeded in making me want to work for them! It sounds like such a cool and fun place to work at.